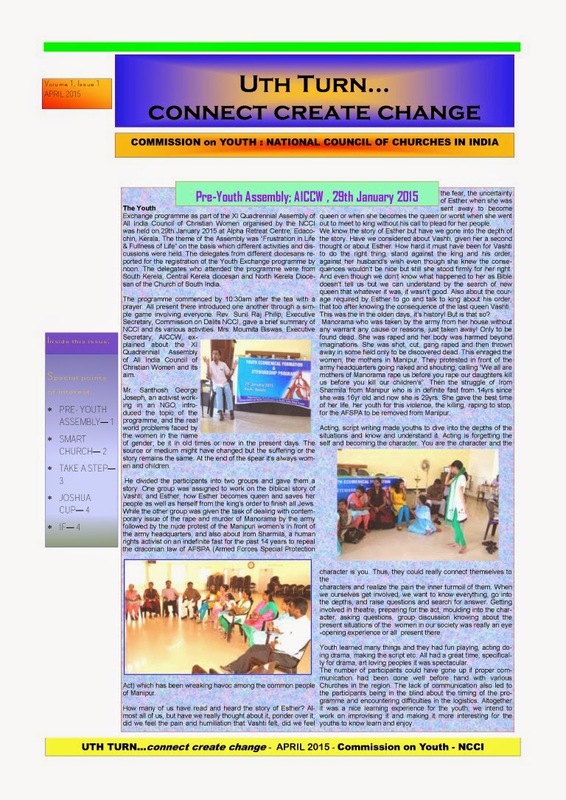 “UTH TURN…CONNECT CREATE CHANGE” an e-bulletin from the Commission on Youth. Let's connect-create-change… It’s “Uth Turn” (youth turn) our turn, you, me, all of us connecting, walking hand in hand, creating a bond strong, changing into an instrument of love. Let us spread God’s word, His love, bringing relief and peace, building a nation of love, of humanity and peace.